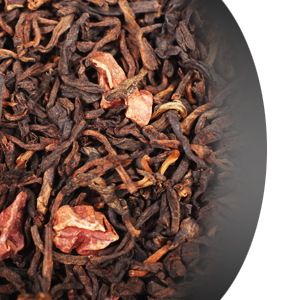 Wonderful combination of healthy cacao and aged, Chinese black tea. Dark, bold and unsweetened, just with a hint of earthy, classical puerh tones. Boosts metabolism, helps with digestion and supports weight loss. Very satisfying cup of black tea!